Vinyl, or PVC privacy fences are the absolute highest quality fences you can purchase to secure the privacy of your backyard. The only alternative to vinyl when it comes to privacy is wood, and wood tends to need a lot of maintenance over time. 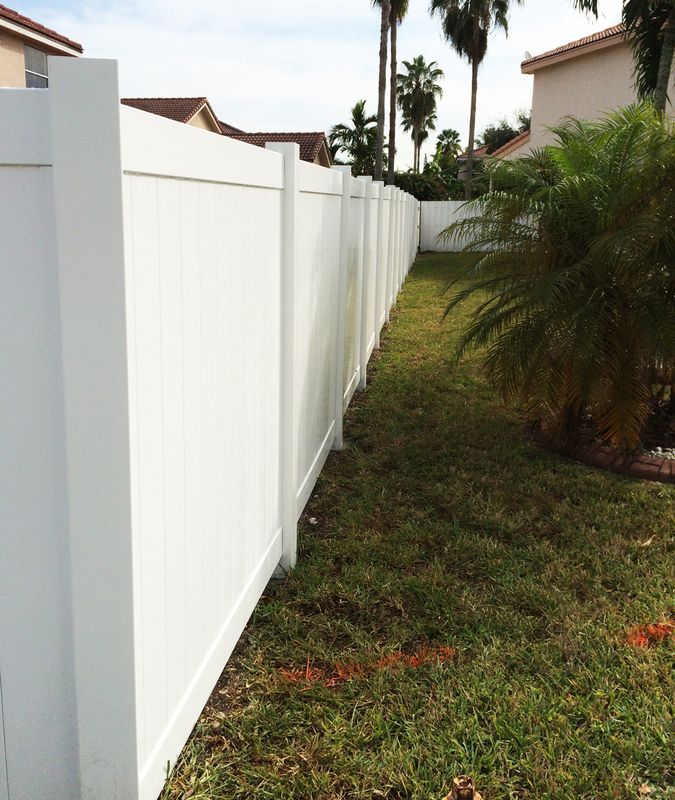 While vinyl tends to be a little more expensive than other fencing types, it more than makes up for the additional price by being 100% maintenance free and virtually impervious to hurricanes, especially when using the higher grade hurricane models. 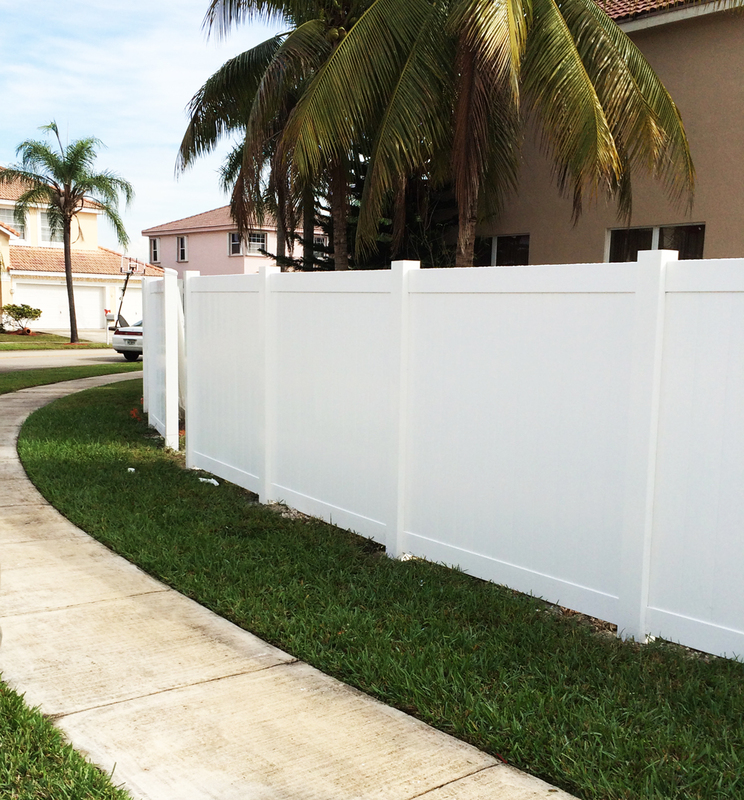 Standard privacy fencing tends to come in 2-3 colors: white, tan and khaki and can go up to heights of 6′ when installed in a residential setting. 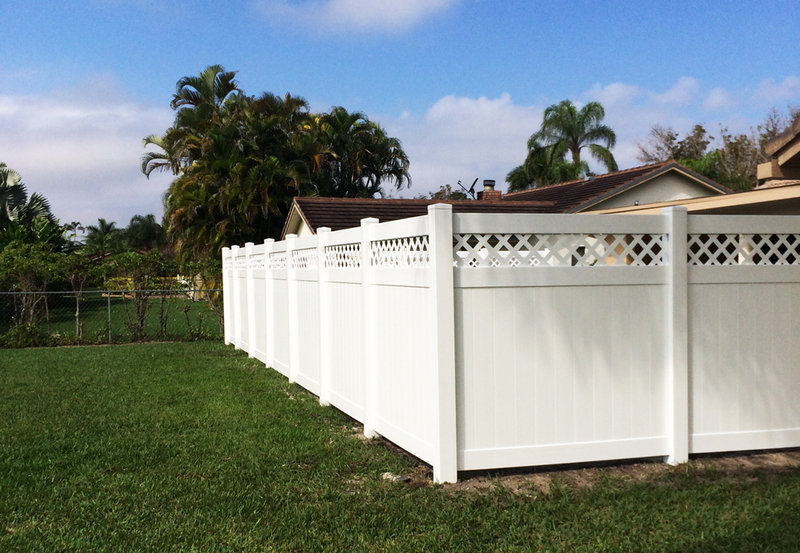 Picket fences are the clear alternative to similar aluminum and wood models. You can choose from either a thin or wide picket, multiple picket tops and many different spacing’s. You also have the option or the top of the fence being flat, scalloped or arched. 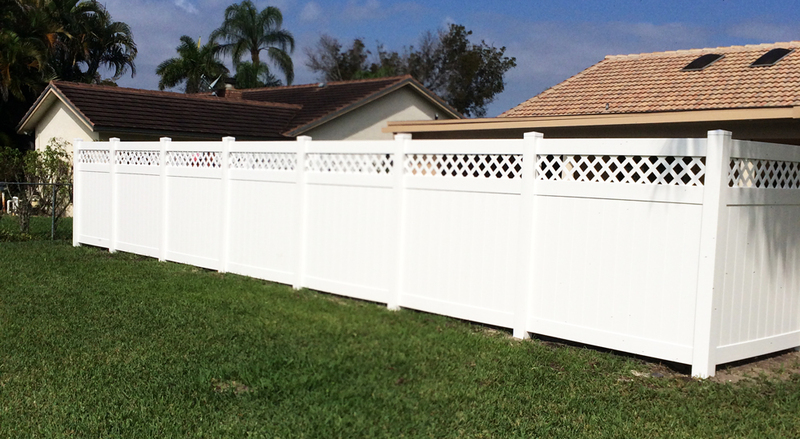 This particular style of fence is a great option for around the pool or in front of the house, where the height of the fence is limited to 4′ in Broward county. Semi-private fences, unlike 100% private models, have a very slight spacing in-between the pickets (upright-members). 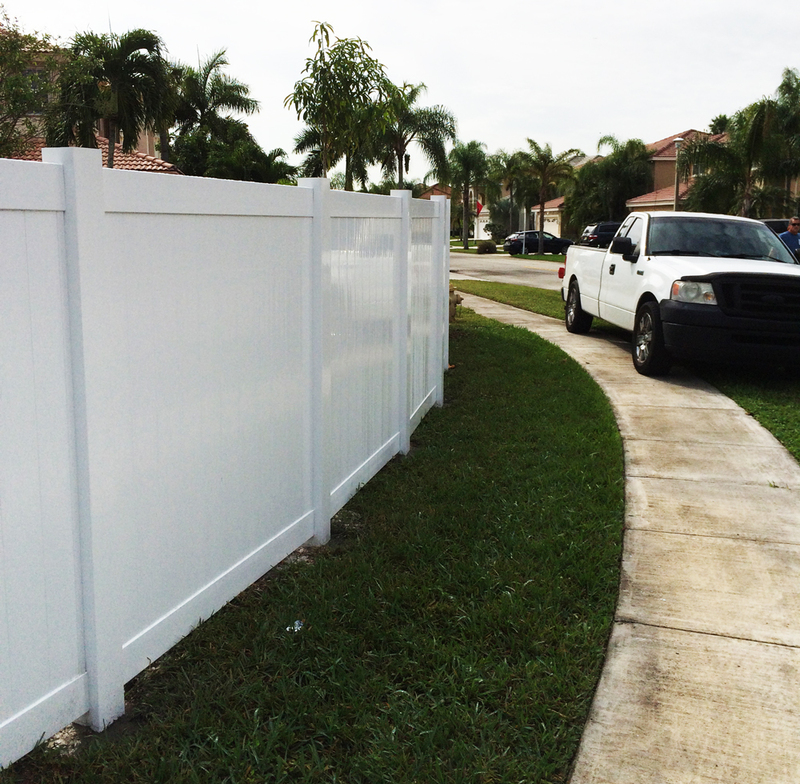 This type of vinyl fence is a great option if you want the security of privacy, but also want to be able to keep a small degree of visibility and air-flow. Several models are available including thin picket, wide picket, louvered and shadowbox. Vinyl fences are 100% maintenance free. You’ll never need to replace decaying pieces or worry about the elements destroying anything over time. 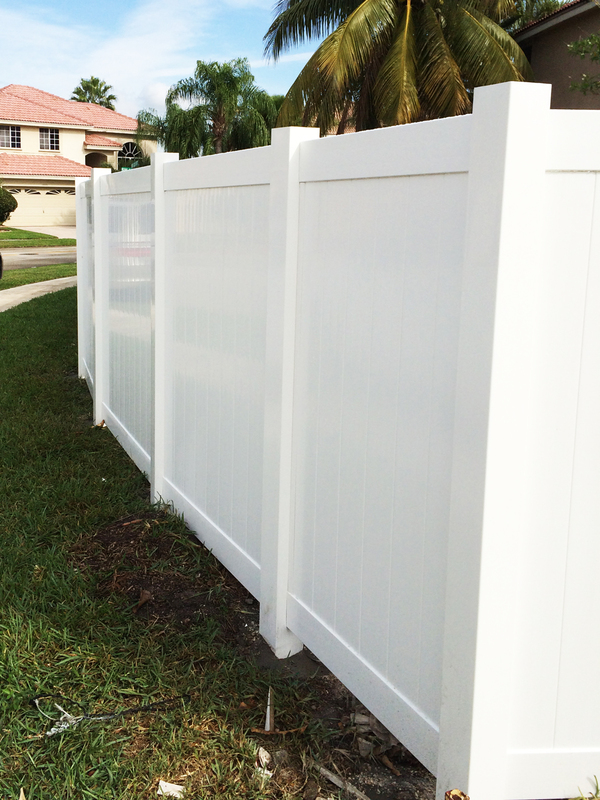 The manufacturer that we purchase materials from only uses the highest quality parts, so you will never notice any color fading or yellowing over time like you will with cheap vinyl fencing purchased from hardware stores. 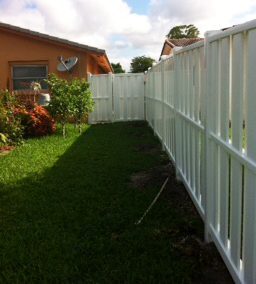 All of our vinyl fencing is purchased from South Florida’s premiere vinyl fencing company PVC Fence Wholesale. 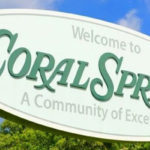 All of their materials are purchased from an extruder that extrudes all of their materials in the USA, and is fabricated by individuals that have more experience than any other PVC fence shop in the state of Florida. 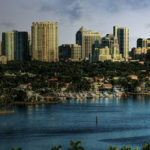 How much does it cost to install a fence in Broward County?